Proper socialization is essential for a healthy, happy family dog, yet socialization is one of the most misunderstood and under-utilized concepts among pet owners. Instead of solving problems, we could be preventing them. Laura VanArendonk Baugh of Canines in Action raises fearless puppies by introducing them to novel stimuli in a way that is fun and exciting. 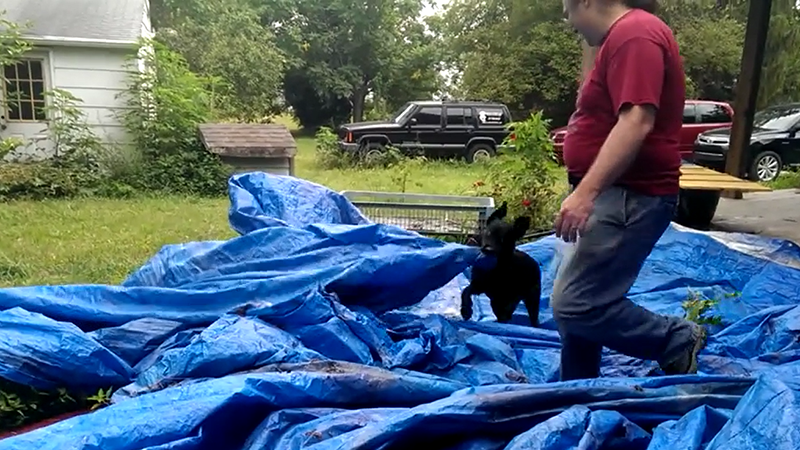 Things this puppy is not afraid of #742: a giant tarp.